I don’t know that a little bird can be any cuter that this one. 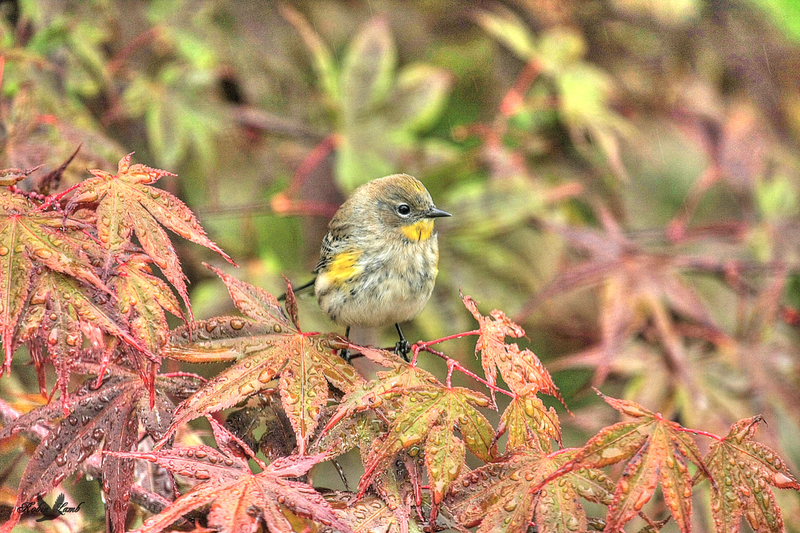 A Yellow-rumped Warbler sitting in our Japanese Maple on a rainy fall day! This entry was posted on 2014/10/18 by Robin. It was filed under Birds and was tagged with Aldergrove, B.C., Japanese Maple, Yellow-rumped Warbler. Robin, that’s a great shot of a really adorable little bird. PAt, thanks! I think its such a pretty little thing! The bird is very cute and the whole picture is just beautiful. That is one of the best you photographed, well done Robin. We get them very rare, so it is a sight to see one, thanks. You are right, this little guy is adorable! Great capture, too.